Super Wings! – Season 2 (2018) – What's New on Netflix Canada Today! A cheerful jet and his transforming pals strive to find peaceful solutions to their problems while delivering packages to children around the globe. 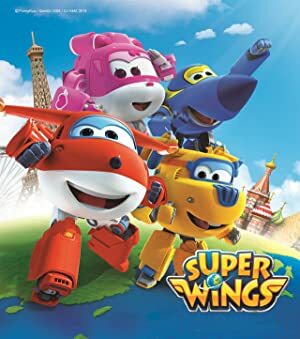 “Super Wings” series revolves around an adorable jet plane named Jett who travels the world delivering packages to children. With every delivery, Jett encounters a new problem that he and his friends the Super Wings must work together to solve. Jett and the Super Wings have the unique ability to transform from planes into amazing heroes who can run, climb, lift, dig and even dive deep under the sea. After meeting Sky, the new air traffic controller, Jett sets out to deliver a kung fu outfit to a boy named Shun Yip in Hong Kong. Jett brings a first-aid kit to Dema, who lives near the Himalayan Mountains, and helps her meet the legendary Yeti — and a new Super Wing, Chase. After delivering a floatie and snorkel to Jermaine in the Bahamas, Jett, Dizzy, Mira and Donnie help rescue pigs from a storm.